It’s fair to say that since its multiplayer mode was announced at the PC Gaming Show ahead of this year’s E3, Ready At Dawn’s Lone Echo and Echo Arena have been hugely popular with VR gamers. Small wonder then, that Rubin led with the news that two expansions to the game are on the way in the form of new multiplayer FPS mode, Echo Combat, and a continuation of the adventures of Captain Olivia Rhodes – and Jack, of course! The game will be released for Oculus Rift on 15th November and Gear VR a week later, on the day of the film's US release. Another popular title alongside Echo Arena in The VR Challenger League, The Unspoken is getting a single-player update. Acolytes will reveal the secret history of the Spellcasting duel, and is intended to make for a perfect entry point for dominating the PvP arena. The second of three Blade Runner 2049 experiences based on the motion picture from Alcon Entertainment. 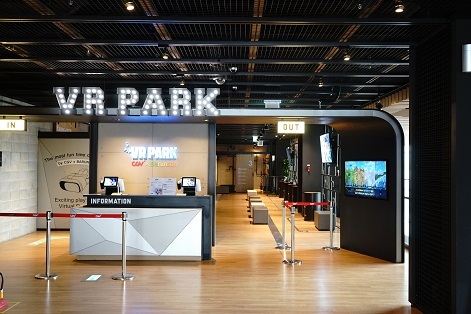 In Memory Lab, you’ll explore your memories with the help of a holographic AI to uncover a thrilling conspiracy in the world of Blade Runner. Memory Lab comes to Rift on 19th October and Gear VR 26th October. Everyone’s favourite Norse god, Thor, joins the cast of this brawler, first announced at Disney’s D23 Expo in July. With that roster of talent on the way in the remainder of this year, Rubin declared that, “2018 is the year of infinite potential”. He then revealed that Respawn Entertainment, known for its high profile Titanfall games, is working in partnership with Oculus to bring a new IP to Rift. 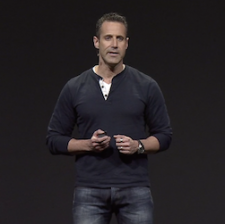 Vince Zampella, CEO at Respawn said of the game, “We really want to depict being a soldier in combat in a more fully-fleshed out and realistic way”. The trailer didn’t give much away about the game itself, other than showing a montage of gun-based war footage across the ages. The as-yet untitled game will be released in 2019.